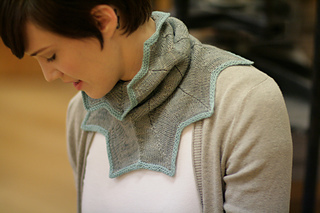 This playful cowl is a joy to knit and so easy to wear. 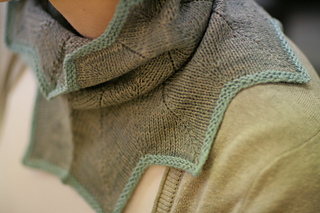 It would be great folded down to make a double layer of picots, or effortlessly slouched. Knit this cowl in a soft yarn for maximum snuggle, while the garter stitch borders make a great canvas for playing with color combinations. 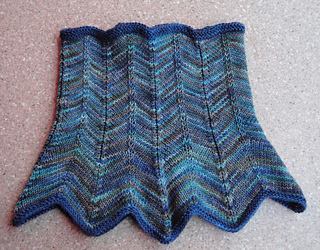 This cowl is worked in the round, from the larger bottom edge to the top, bind off edge. 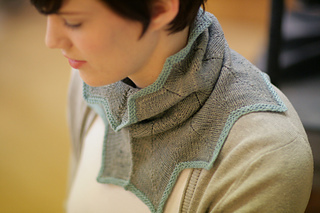 The stacked increases and decreases create the chevron shaped fabric. 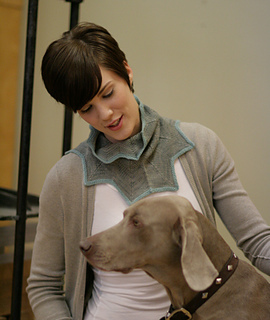 This pattern requires 45 yards for the accent color and 165 yards for the main color. 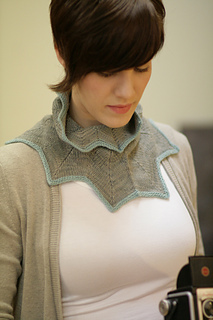 If you want a solid-colored cowl, you’ll need roughly 210 yards.